This is so easy. 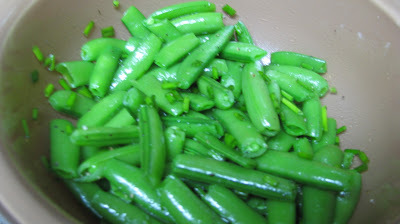 The sesame oil enriches the flavor of the sugar snap peas. Sesame oil goes bad quickly. If you have sesame oil in your kitchen, check it to make sure it is OK. If it doesn’t smell nutty and fragrant it probably isn’t good. It should not smell oily. I store mine in the refrigerator and that will extend the life of the oil.